Effective April 4, 2016, the new halal labelling and advertising requirements will be enforced following a two-year transition period. All halal claims on food labels, packaging and advertising materials will need to be accompanied by the name of the organization or person that certified it as halal. Halal claims made on a product label, packaging or in advertising must follow the regulatory requirements. The Canadian Food Inspection Agency (CFIA) will take compliance and enforcement actions if the requirements are not met. These changes do not affect food safety. 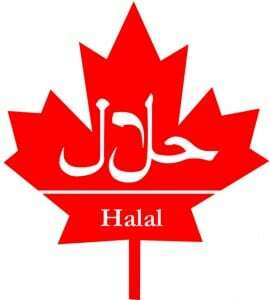 All food sold in Canada, including halal products, must meet Canada’s stringent food safety standards. The related amendments to the Food and Drug Regulations were published in Canada Gazette, Part II, on April 23, 2014. This amendment to the Food and Drug Regulations will add a specific reference to halal so that a halal claim on a food label, or package or in advertising material, is accompanied by the name of the person or body that certified the food as halal.